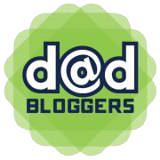 If you like the videos I make, you might be interested to hear I am also a vlogger for the Dad Network TV (formerly Dad Channel). My latest project was to make a video about our family summer holiday, but we haven’t actually been away yet (other than a trip to Whitby for a two day vintage fair, when Jill and I had to continuously swap between selling duties and beach fun with Elsa for the entire weekend). I had to channel every meeting I have ever attended and ‘think outside the box’, whilst ‘touching base’ and indulging in some ‘blue sky thinking’ ‘going forward’. We spend a lot of time in Scunthorpe; it’s my home town and my parents live nearby, Jill has a part share in a shop in the town and I am the pitch announcer for Scunthorpe United, the team I have supported all my life. It’s fair to say Scunny has a less than favourable reputation, probably due to the unfortunate name. It’s a sort of shorthand punchline for tired, lazy jokes, just like ‘James Blunt’ seemed to be for a while. Most people have no clue where it is (I’ve lost count of the number of people who confidently state it is near the sea – it is not) or what it is REALLY like, so I thought I’d make the town the subject of my vlog. This probably won’t cause the hoards to shun Malaga and book a fortnight in North Lincolnshire next summer, but it’s my little bit to show there’s more to Scunthorpe than a name that causes havoc with your computer’s obscenity filters. If you like that video, why not watch the Beginner’s Guide to Pokemon Go, or the Top Gear spoof review of our knackered 14-year-old Skoda. My mum is from Scunthorpe and EVERY YEAR she had to go on holiday to Skegness. I’ve never been to either! Didn’t like to leave Lincolnshire, right?